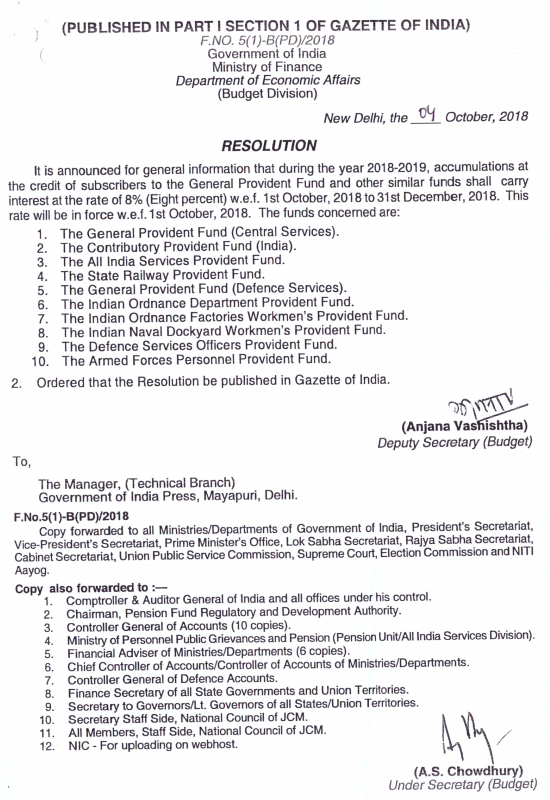 It is announced for general information that during the year 2018-2019, accumulations at the credit of subscribers to the General Provident Fund and other similar funds shall carry interest at the rate of 8% (Eight percent) w.e.f. 1st October 2018 to 31st December 2018. This rate will be in force w.e.f.1st October 2018. 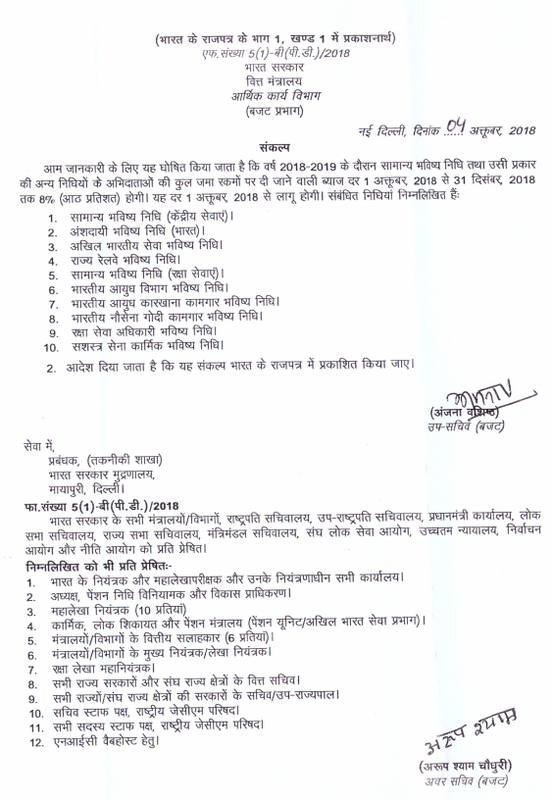 It is announced for general information that during the year 2018-2019, accumulations at the credit of subscribers to the General Provident Fund and other similar funds shall carry interest at the rate of 7.6% (Seven point six percent) w.e.f 1st July, 2018 to 30th September, 2018 . This rate will be in force w.e.f. 1st July, 2018.